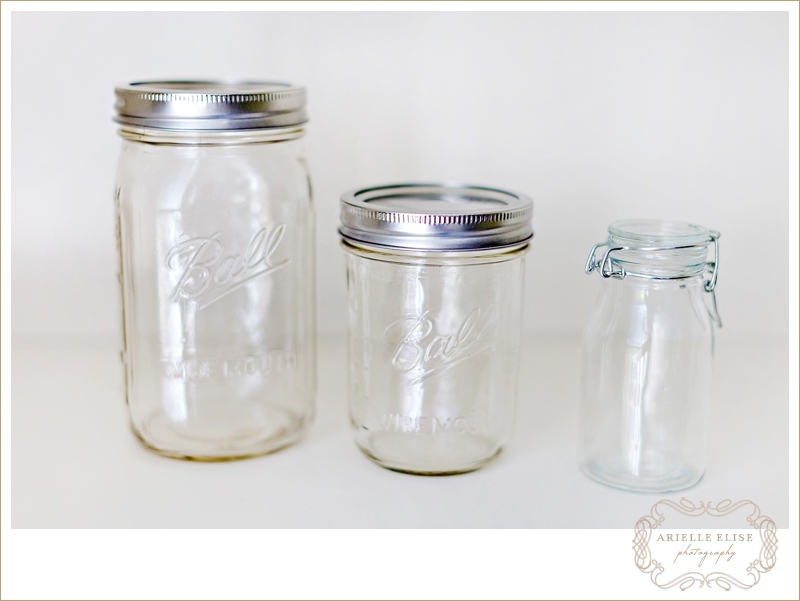 A Large Mason Jar, Small Mason Jar, or any other jars. 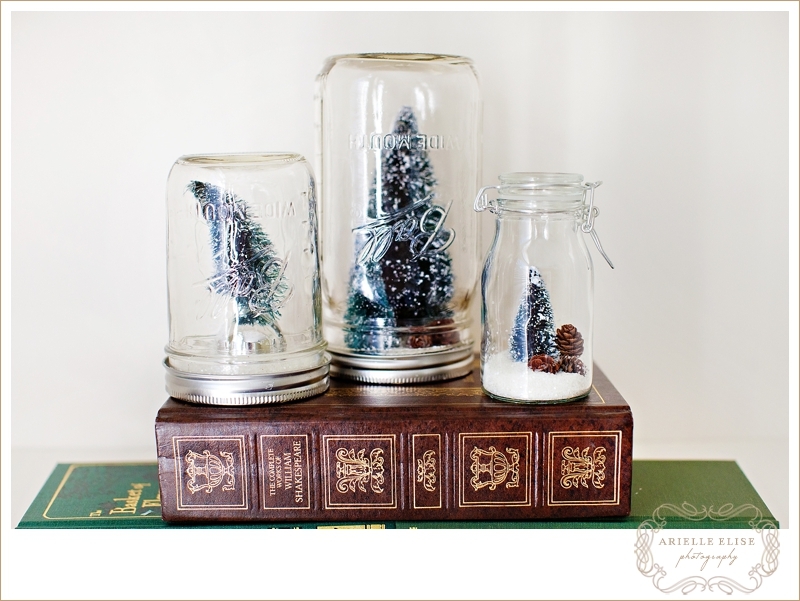 Simply glue (with a glue gun) the trees to the bottom of the jar’s lid along with pincones, ornaments, etc. Add ALOT of glitter! Either glue or screw the lid back on the jar and ta-da! 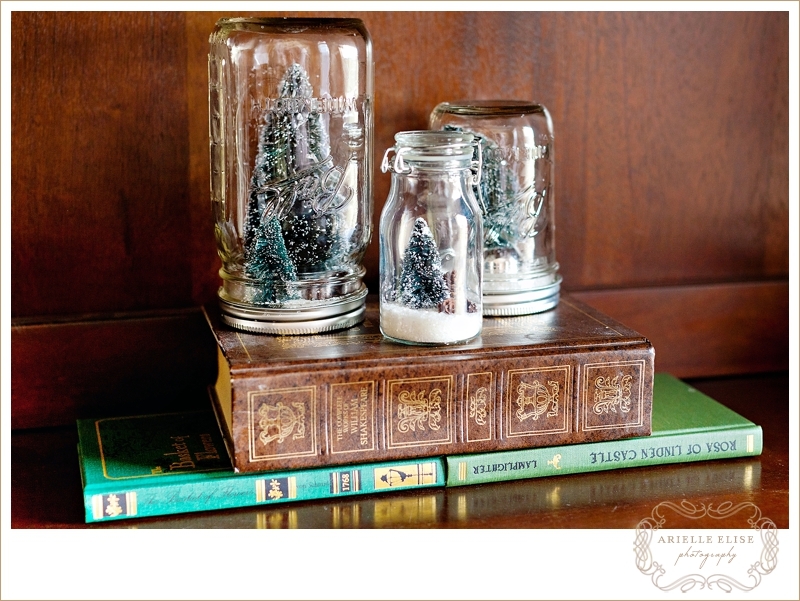 You have your own little snow globe that looks just like the ones at Anthropologie :) ….but for much, much cheaper. I’m going to have ours on the piano or our fireplace mantel, love them! THIS IS AWESOME! I am so making these! I even have everything except the trees! yay! you are a genius. seriously. I think I’ve found my next crafting project! Thanks for the inspiration girly. These turned out ADORABLE! I need to visit Hobby Lobby when I come back :) Where is the closest one to you? You did great! Those turned out AMAZING!! 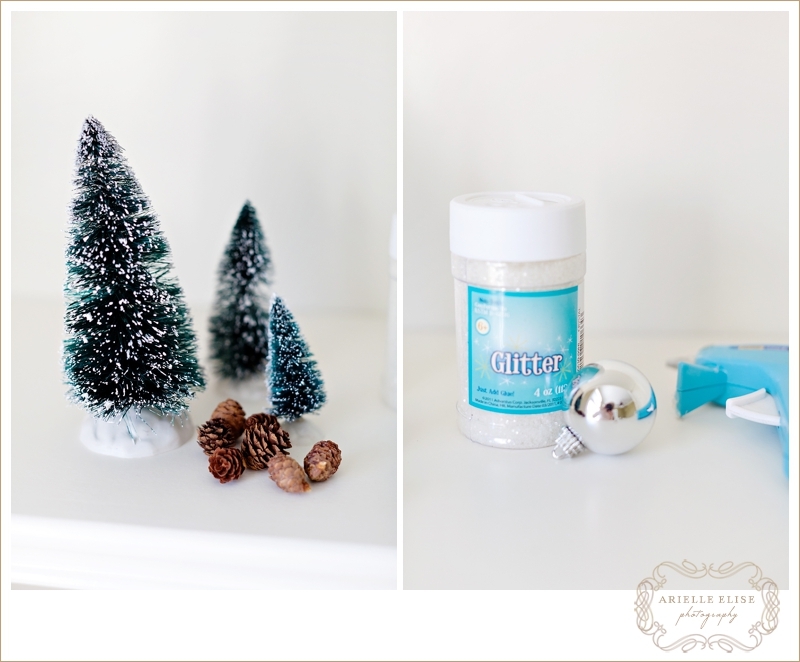 Oh, What a beautiful Christmas-y DIY!! ooooh! i just saw these like 10 mins ago on anthro’s website!! i am so going to make these for our house & for gifts! thanks lady! What a great idea! I could totally make these so easy! Thanks for sharing. Amazing idea! Thanks Precious Moments! thanks, Arielle!!! :) i like them a LOT! Ahh, love these! 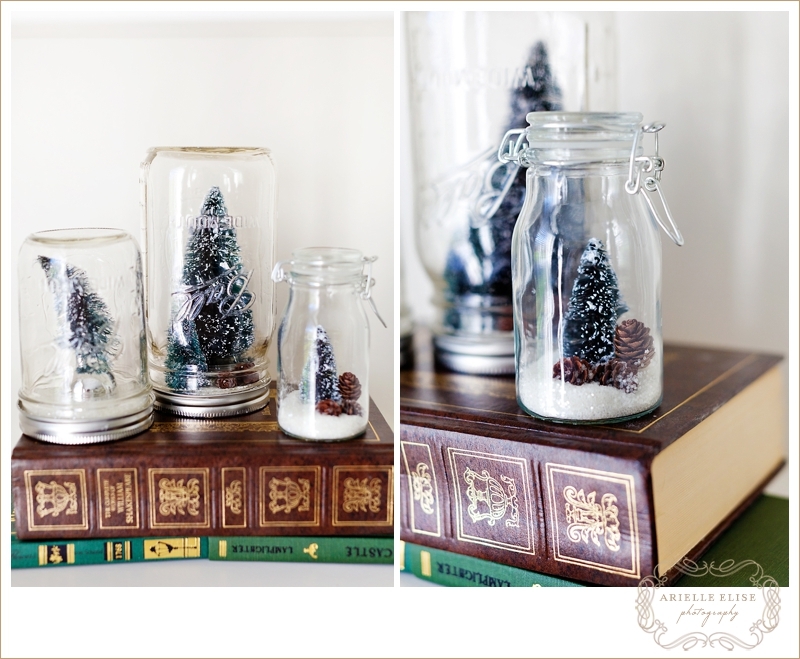 I’ve never been a big fan of snow globes but these are gorgeous! I just might have to make some…! this is so amazing, arielle! definitely want to try this out. What a cute project! 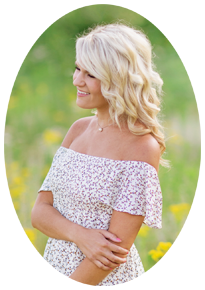 I’ve been following your blog for awhile now and I love it! You have the best photos and it is inspiring to see such selflessness in a young wife and mother. Happy belated Birthday and nice to meet you! This is GREAT!! Love that you shared this.. I’m definitely gonna do this! Maybe even today. =) I desperately need something creative to do! … and I was just thinking (yesterday) about how I need some Christmas decor around our home. You’re da bomb dot com, girl! This is seriously cool! Thank you so much for sharing! These are fantastic!!! thanks for sharing! correction: I AM DOING THIS! to your following post:: my church spoke on this this morning. take a listen. I featured this post on my blog today! I LOVE these so much! What a great job you have done, of translating the product into a DIY – seriously, yours are just like the real thing! Definitely trying this for Christmas gifts. You do it very nicely and you can of course do as many as you like but it’s someone else’s idea that you are recreating. By making your own and promoting the idea to other people to make their own you are taking away income from a designer or artist who created this idea and sold it to the store. Somebody thought of this and then created it, maybe it looks super easy to do yourself but you didn’t think of it until you saw it. Love your tutorial! 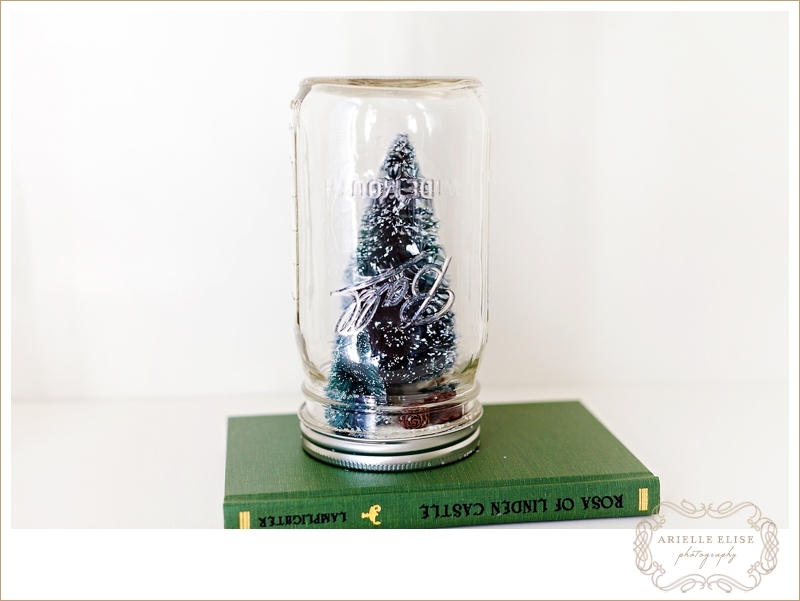 I saw the Anthropologie snow globes in this month’s issue of Country Living…and was excited to make them with my 4 kiddos…part of our “Handmade Christmas” this year! 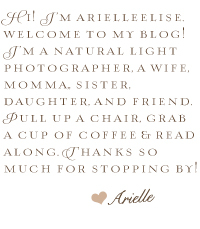 Thanks for posting your simple, easy to follow ideas, Arielle! i love your snow globes! they’re so cute! These are SOO SO adorable! I love this idea to make them, and so much more personal than one that is manufactured in bulk. I think this might just be my gift I make for everyone this year. 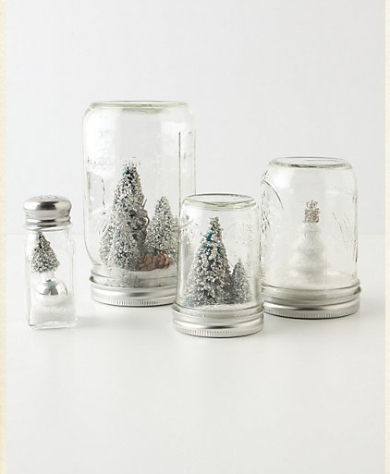 I just found your snowglobes via pinterest. I, too, hopped on that bandwagon this year. I actually used epsom salt and put it in many glass containers I had, added a deer, owl, or tree and called it good. those are so adorable!! （；゜０゜） definitely trying this next christmas. 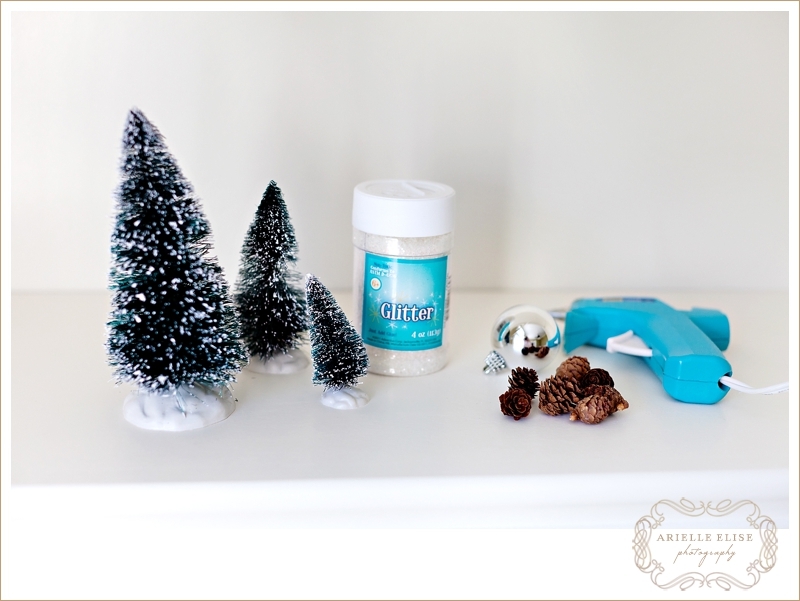 Regarding the Mason jar snow globes, substitute Epsom salt for the glitter, much cheaper, and you can find the little Christmas trees at the Dollar Tree store, 3 to a bag for $1.00 as well as other seasonal items to add to your globe such as reindeer, village scene, church, etc. I think a thin velvet ribbon around the lid would be a nice touch! Hey there! You inspired me to create my own. I added my own twist by “frosting” the trees my self. Thanks for making me do this! Sorry if this is obvious and I missed it, but did you fill them with water like most snow globes or just dry and purely decorative? I am with Paul, do you fill them with water or some other liquid to have it a real snow globe. Or is this decoration in a bottle? thank you for this nice xmas tree bottle . this xmas i want to do a few.merry xmas and have a lot more ideas for us to come…. Beautiful! I just finished making mine and they turned out very nicely. Keeping a few for home but gifting most of them for Christmas. Thanks for the how-to! That’s so awesome,althrough I am a Chinese Student,feel a strong passion of life.